Peru is a Latin American tiger! The country is equal parts beautiful, historic, and ambitious. It is truly one of the great success stories in South America and it keeps getting better. This is the back-drop for one of the most exciting decisions of your life—getting TEFL certified! 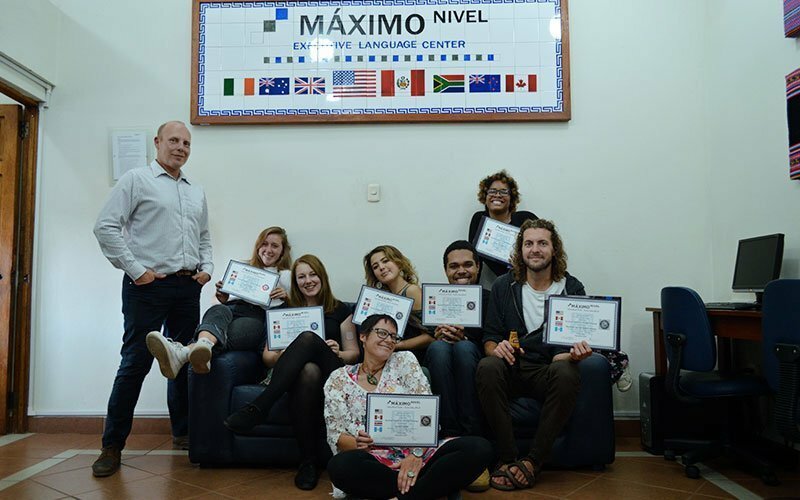 Earn your internationally-accredited TEFL Certification at the Maximo Nivel TEFL Training Center located in the historic city of Cusco, the gateway to Machu Picchu. 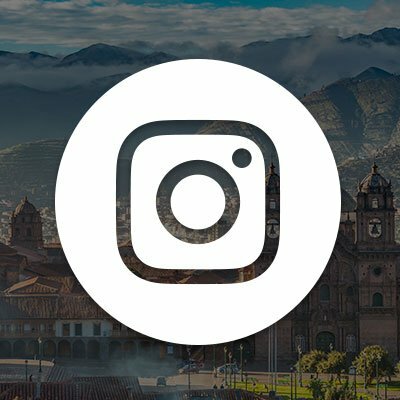 A lot of travelers make their way to Cusco, but only the special few stick around and really get to know the depth, the beauty, and the adventure of this amazing place. The strength of Peru’s economy and the importance of the tourism sector, means there is always a strong demand for English teachers. 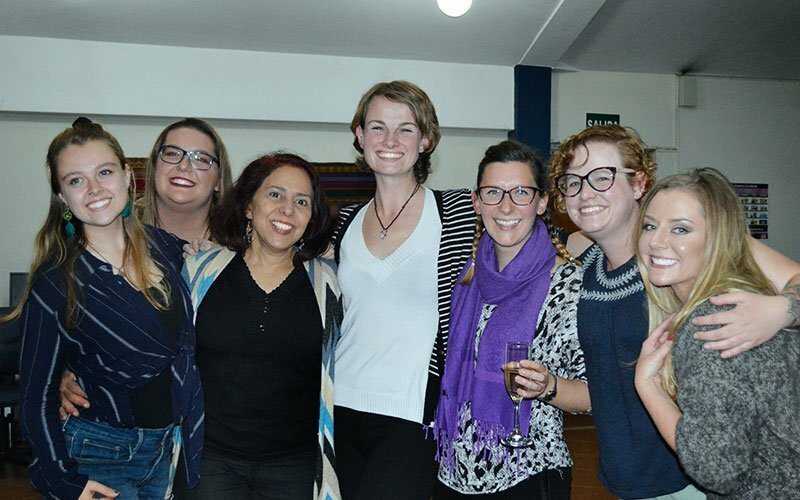 The Maximo Nivel team and your TEFL Trainer are experienced English-teaching professionals and very knowledgeable of Peru. They are always ready to support you throughout your journey! The TEFL course was incredible! I didn’t know what to expect and the course was definitely intense. The 4 weeks was a lot of work but so much fun and rewarding! Sean, our instructor, was absolutely amazing. He was patient, understanding, funny and more. He truly cared about our progress and gave us good feedback when needed. He encouraged us at the times we doubted ourselves the most. Those 4 weeks I will remember forever! Just do it! 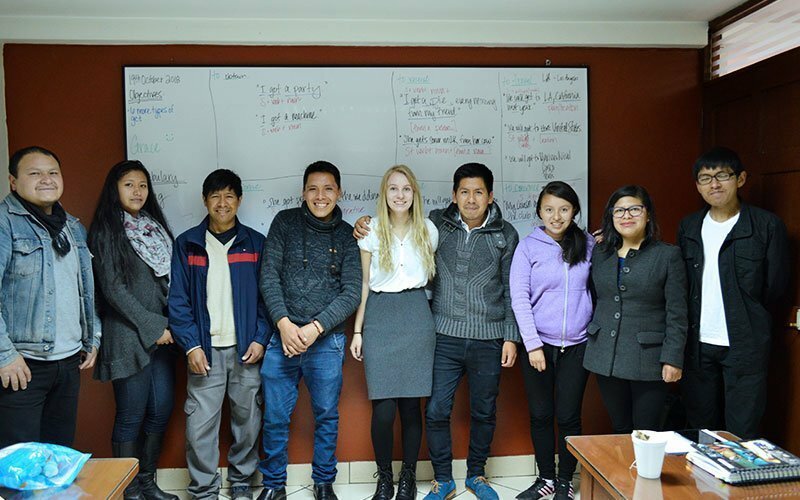 The Maximo Nivel TEFL training center in Cusco, Peru is located on the main commercial street of Avenida El Sol. It sits directly across from Q’oricancha–the Temple of the Sun and the most sacred site in the Inca Empire. 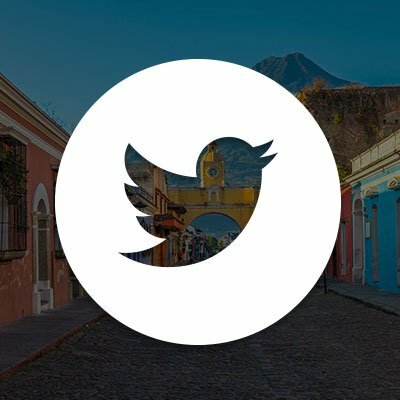 The training center is just 3 blocks from Cusco’s Plaza de Armas, right in the historical center and close to shopping, restaurants, and nightlife. The city of Cusco is most famous for its interesting mix of Inca ruins and colonial architecture –so much so the entire city has been designated an UNESCO World Heritage Site by the United Nations. The training center includes 4 floors with 22 classrooms, WiFi, computer lab, and a snack bar. The institute’s spacious common areas are great for meeting up with friends and making new ones. There are always lots of free time activities and cultural events to take part in. The training center is open 7 days/week, including holidays. 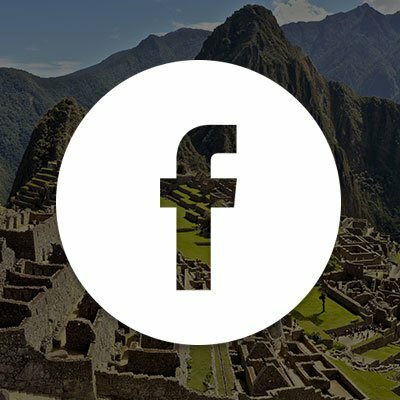 Peru’s economy is growing between 5-9% every year, and it is a large country with a population of over 30 million people. The country’s economic success and its popularity as a global tourist destination creates a huge need for English teachers. 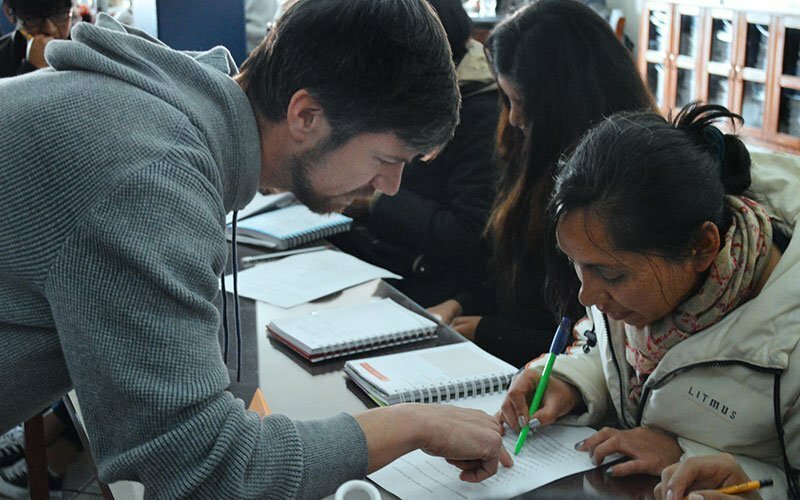 Peruvians place a high value on academic credentials and they are always looking to advance their English language skills to remain competitive in the international market. The Peruvian culture holds “profes” in high esteem and you should be prepared to take your role seriously. The low cost of living in Peru means teachers can enjoy a good life, even on a modest salary. Peruvian food is delicious, comes in huge quantities and is cheap! Housing and travel are also very inexpensive. Depending on your lifestyle, a frugal English teacher can save money every month. A TEFL certificate is the basic qualification that opens the door to teaching opportunities throughout Peru. 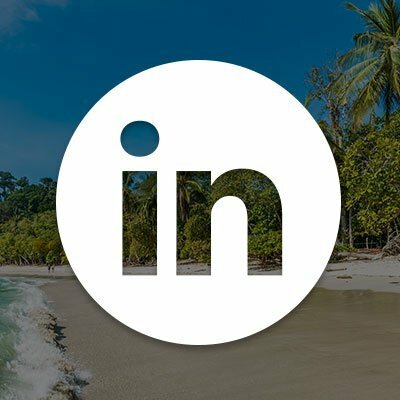 New positions are available every month, year-round. Demand for English teachers is so high that TEFL graduates can immediately begin their career teaching English right after the course. 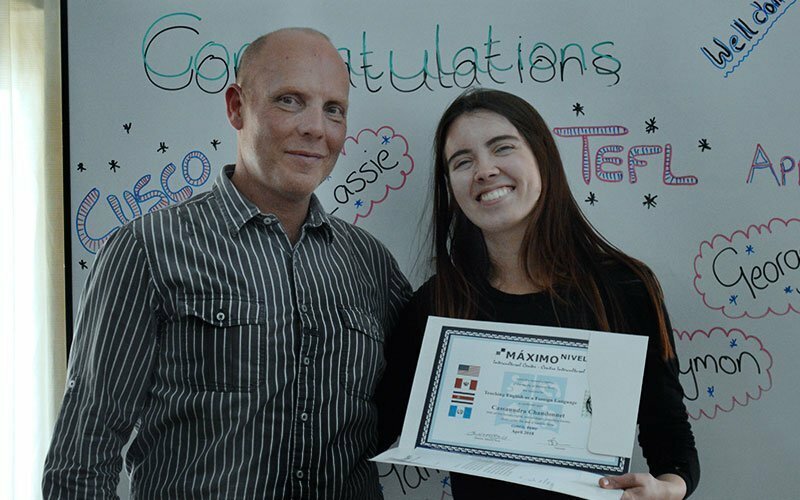 TEFL graduates find opportunities working with adults and teens in both private institutes and public school settings. In Cusco, Arequipa, Trujillo, Chiclayo, and of course Lima, there are thousands of private English institutes and K-12 schools. TEFL graduates who can commit to a minimum of 1 year can obtain positions in K-12 schools, meanwhile teachers who prefer to commit for only 3-12 months find opportunities in language schools. Private institutes hire year-round. K-12 schools follow the Latin American school year and tend to hire between January and February. Most English teachers work 25-30 hours per week, although total hours and curriculum standards are different from institute to institute. 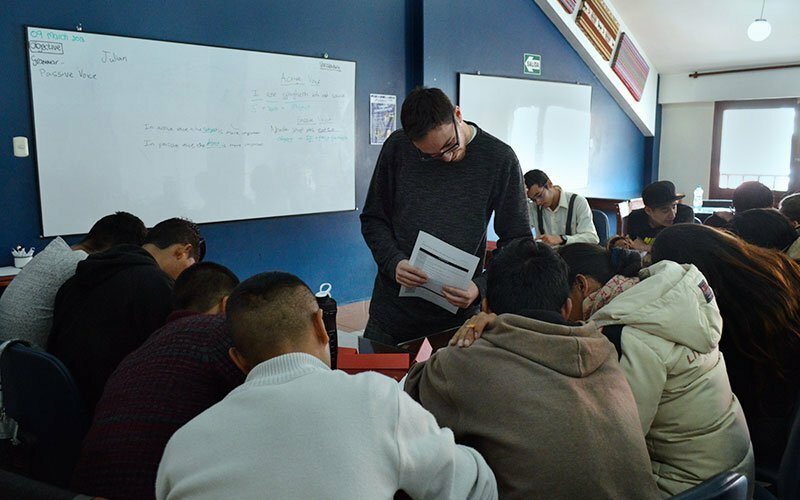 Maximo Nivel’s language-training center in Cusco, Peru has 1,700 students and it is the third largest language institute in Cusco. Our TEFL graduates are prioritized for English teaching positions and we hire 4-5 new teachers every month. It is important to note ESL teachers work a split schedule–2-3 hours in the morning and 3-4 hours in the evening. This gives you free time to explore the historic city of Cusco and take care of personal errands. Maximo Nivel provides all teachers with the full ESL curriculum, syllabi, materials, quizzes, and exams which saves you a great deal of time and energy compared to other institutes. GET YOUR TEFL IN AMAZING PERU! The 4-week 150-hour onsite course in Peru is one of our most popular destinations and TEFL courses. 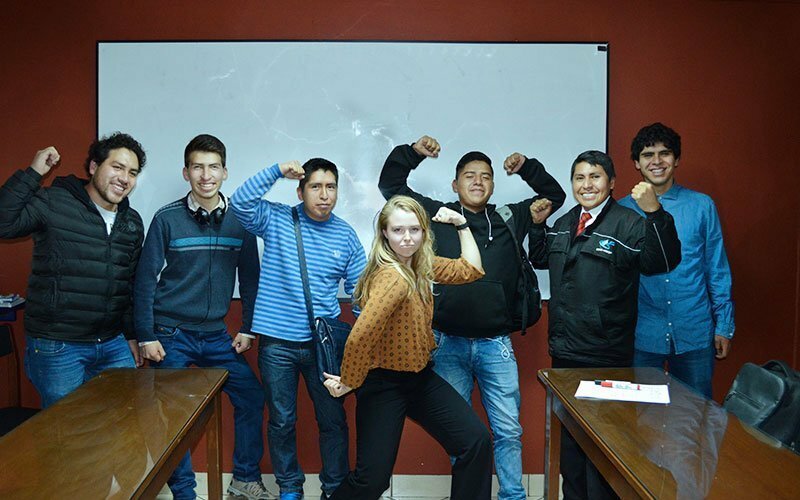 The TEFL program in Cusco usually ranges from 8 to 15 participants. 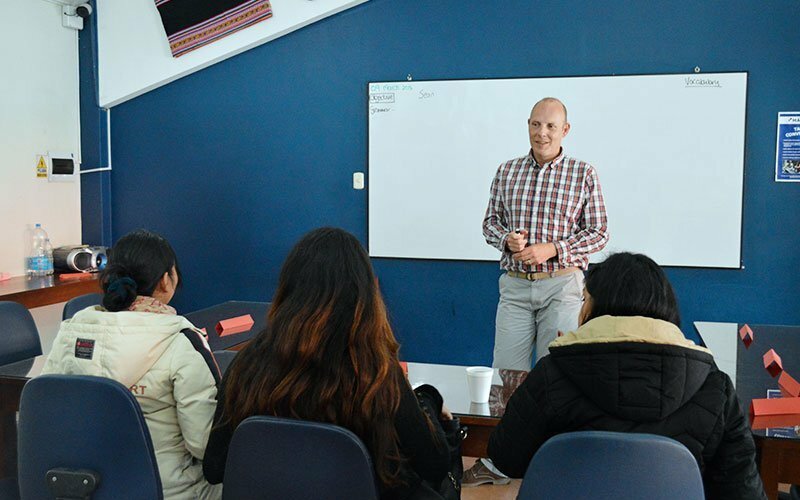 Our language-training center in Cusco has a very successful ESL program and the ESL classes you teach during your course average 10-12 English students. 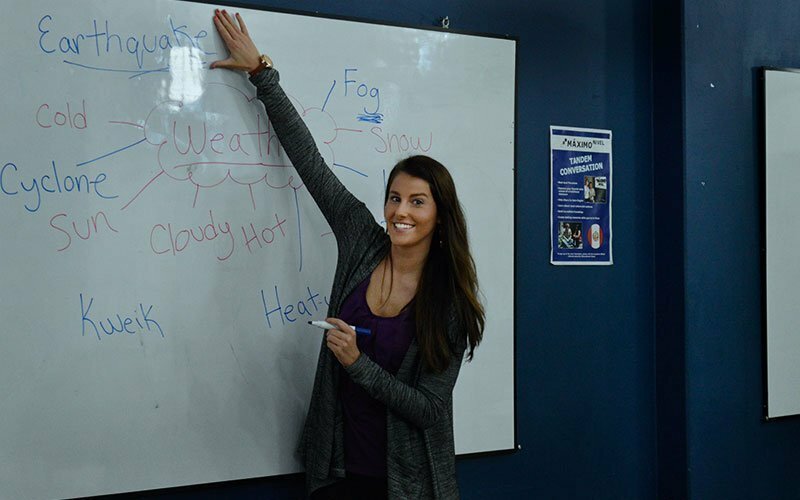 Due to the high altitude of Cusco, be sure to dress in layers—stay casual for your TEFL classes, but bring more professional clothes for your teaching practice. 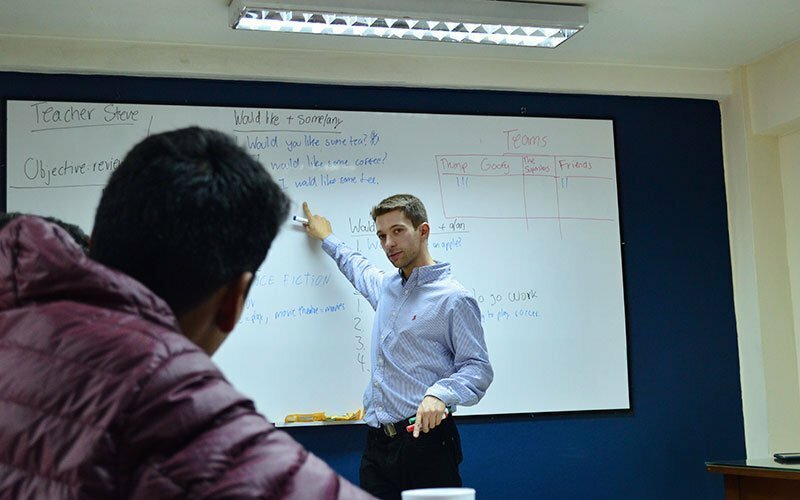 Our TEFL Trainer, Sean, brings a lot of experience to the TEFL course. He always makes teaching English come to life and he knows how to keep it fun! Sean’s background is eclectic, including military service, owning his own restaurant, and working as an ESL teacher and TEFL trainer. Originally from South Africa, he has traveled extensively throughout the world. 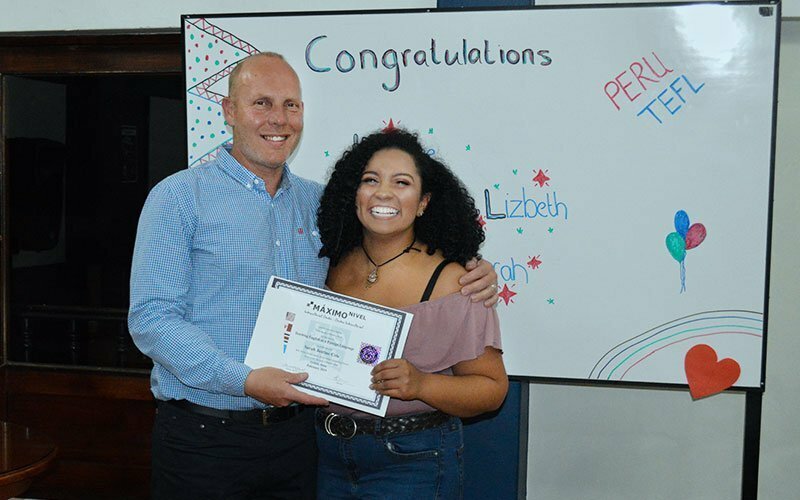 Sean has been with the Maximo Nivel organization since 2016 and has focused his career as TEFL Trainer in our language-training center in Peru. 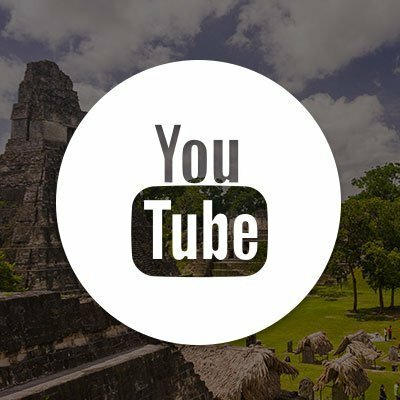 Ready to Teach English in Peru?